Are you planning to do any home improvement? Have you considered whether your home improvement, remodeling, renovation or maintenance contract is compliant with New Jersey Statutes and Regulations? Before hiring a contractor, have you reviewed the contractor’s proposed contract and clearly understood all the terms and conditions? Are you aware that New Jersey Statues and Regulations require specific terms and provisions that must be included in written contracts for $500 or more for home improvements? Know your home improvement contract law before you begin. 3. The total price or other consideration to be paid by the owner, including the finance charges. A home improvement contract may be canceled by a consumer for any reason at any time before midnight of the third business day after the consumer receives a copy of it. In order to cancel a contract, the consumer shall notify the contractor of the cancellation in writing, by registered or certified mail, return receipt requested, or by personal delivery, to the address specified in the contract. A good, compliant contract will set forth the parameters of your home improvement and help prevent issues that may lead to a break down in the homeowner/contractor relationship. 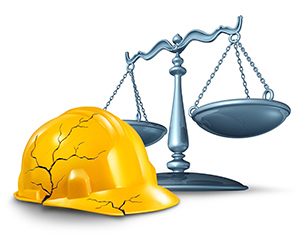 At Francis D. McIntyre, PC we can review your contract and ensure a proper contract is in place that may prevent subsequent issues during construction. Contact us at (908) 264-7220 or moc.qsemfnull@mdf to set an appointment.